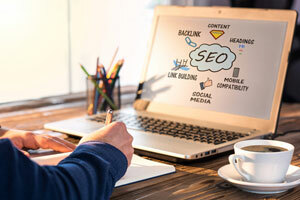 What you need to know about SEO – Part 1: What is it? - A Digital Marketing Agency | IIAS - International Internet Advertising Services Inc.
What you need to know about SEO – Part 1: What is it? Welcome to our new article series. Don’t worry, this one is information only – no homework! Well, that is true if you actually did do your homework last time and wrote your marketing plan. Why? Because a great SEO program needs a lot of the information you complied in your plan. That said, in this series, we’re going to share some knowledge so you can really understand the importance of Search Engine Optimization (SEO), how it fits in with other marketing activities, and how to keep yourself away from the digital version of the proverbial “snake oil salesmen.” So let’s get started! Search Engine Optimization means modifying your website to allow search engines to make the best possible matches between what you sell and searchers who want what you sell. If you’re surprised that we didn’t say anything about ranking number one, you’re not alone, and you’re not entirely wrong if you think ranking is important. But here’s the thing – the internet is like a huge library. Imagine going into a Costco sized building with rows and rows of books on every shelf. You want a book about decorating cakes for a kid’s birthday party. You don’t really care what the most popular book in the library is. You don’t really care what the most popular book about cooking is. You don’t even care about the most popular book about baking cakes. What you want is exactly what you said you want – a book about decorating cakes for a kid’s birthday party. When we put this example into virtual space, where there are more than four billion web pages, IF your website (or a page within it) is about decorating cakes for a kid’s birthday party, THEN yes, you want to rank #1. If your site is about anything else, it doesn’t really matter where you rank, because the person searching doesn’t care. So, how do search engines like Google determine what makes a good match? That’s what this series will be all about. Stay tuned!